British Airways passengers at London City Airport should not be alarmed to find themselves flying once again in an Avro RJ85 over the next couple of months. In the past Cello has supported a number of airlines both in the UK and Europe on an ad-hoc basis but this agreement with the British Airways operator marks a major vindication of Cello’s strategy of diversification. Cello was launched in 2010 and has established its reputation in the VIP charter sector carrying top musicians, sportsmen and women, royalty and corporate customers. Motoring enthusiasts with deep pockets can now whisk away a car of their dreams, including the Bentley Continental GT, Bentley Flying Spur, Aston Martin DB9, Range Rover Sport, Mercedes C63 AMG, BMW X5, Mercedes SL63 AMG, Mercedes E400 AMG Coupe, Audi Q7 and Maserati Ghibli. Featuring a VIP customer service and Hertz’s Make and Model Guarantee, the Dream Collection has been rolled out at Hertz’s London Marble Arch and at Heathrow Airport. Hertz Dream Collection cars are handed over to the customer in person by one of the specially trained Dream team, so that customers can bypass the counter. The team will also help load bags into the car and configure devices such as NeverLost GPS according to the customer’s requirements. In addition, each stage of the rental will be closely monitored to ensure complete satisfaction. Passengers at Heathrow can now enjoy some plane spotting as they wait for their own flight to depart. The new ‘View Heathrow’ platform at Terminal 4 is the first of its kind at Heathrow since the old Terminal 2’s viewing platform was closed along with the building itself. The new 270 degree observation deck has a view of the southern runway, the control tower and British Airways’ Concorde. Fixed ipads on the platform show live flight radars so that visitors can identify the aircraft movements in front of them, as well as binoculars to get a better view. Flights start 10 May through to mid-September. C.I. Travel says that the route will appeal to residents in Oxfordshire, the South Midlands and the north western Home Counties who can now conveniently fly from Oxford without the hassle of going to Birmingham or one of the London airports. Some five million people live within an hour’s drive of the airport, which is close to the M40, A34, A40 and A44 road networks. Departure times for the one hour flight are Oxford 09:40 and Jersey 08:00. Passengers use the airport’s executive travel facilities and very close by car park. Blue Islands also fly on a daily basis from Jersey to Bournemouth, Bristol, London City, Manchester and Southampton airports. The European Business Aviation Association has welcomed the European Commission’s decision concerning operating aid for regional airports, which permits airports receiving less than 700,000 passengers per year, to continue having a range of funding options available to them. This affects a significant number of UK airports looking for vital assistance on upgrades including Exeter, Bournemouth, Doncaster Sheffield and Inverness, all of which fell just under the threshold in 2013. This affects a significant number of UK airports looking for vital assistance on upgrades including Bournemouth, Doncaster, Exeter, Sheffield and Inverness, all of which fell just under the threshold in 2013. Joining the ever-growing list of airlines that allow passengers to us their personal electronic devices (PEDs) on board is Air France. This follows the European Aviation Safety Agency (EASA)’s decision to authorise the use of PEDs in "flight mode" at all times during the flight. With this new service, Air France passengers can continue to work or play from the time they board the plane until they arrive at their destination, in total freedom. Since last July the airline has been offering passengers the opportunity to enjoy the entire in-flight entertainment programme as soon as they board until they arrive at their destination. Air France says customers can enjoy on average an additional hour of entertainment, independently of the take-off, landing and taxiing phases. 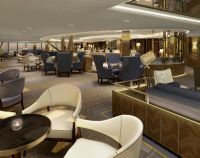 Hilton Worldwide has announced the opening of Waldorf Astoria Beijing, marking the second Waldorf Astoria hotel in China and the brand's continued international expansion. The Waldorf Astoria Beijing is located in the heart of the city on the former site of Xianliang Temple. It is just 27km from Beijing International Airport, 2.5km from Beijing Railway Station and is within walking distance of the Dengshikou Subway Station. Guests of the hotel have convenient access to the shopping malls, central business district and historic landmarks, such as the world renowned Forbidden City and Tiananmen Square. The 176-room property features three unique restaurants, including Peacock Alley, Brasserie 1893 and Zijin Mansion, 796 sq m of function meeting space, a spa and fitness centre with heated indoor swimming pool. Guest rooms include 38 suites in the main hotel tower and the Waldorf Hutong Villa, three Hutong studios and a suite housed in two villas with private entrances located in a garden courtyard. Currently nationalised East Coast Trains is proving to be aggressive with its marketing and progressive with what it offers to its customers. 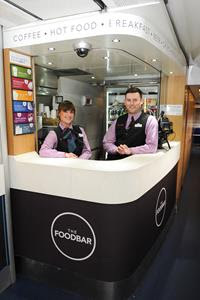 Passengers travelling Standard Class with East Coast can now enjoy a healthy and greater selection of tasty treats as a refreshing new food and drinks service launches on board its services out of Kings Cross to Scotland, North East England, Yorkshire and the East Midlands. New menus celebrating the best of British produce have gone on sale from the all-new Foodbar counter on each train. 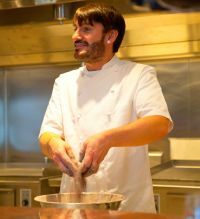 Recently introduced on board, cooking equipment will be in use to offer passengers what the train operator calls “a menu on the move”, featuring fresh ingredients and products sourced from along the East Coast route. Vegetarian food lovers can now take advantage of further innovative in-flight menus designed by Japan Airlines and Mos Food Services Inc. This latest collaboration, Vegetable Air Mos Burger, has been introduced on selected flights to North America and Europe. Vegetable Air Mos Burger is the fourth collaboration of a series of meals designed by JAL and Mos Burger, following their success with Air Mos Teriyaki Burger, Air Mos Rice Burger and Air Mos Teriyaki Egg Burger. Following non-mention of either the A380, or the new Hamad International Airport, during the A350’s visit to Doha on its way the Singapore International Air Show more news has emerged. On 1-3 June Doha and Qatar Airways hosts the IATA AGM. It is very likely that a ‘soft opening’ will take place either during those few days, or just prior. In recent years new airport and terminal introduction (let alone completions) have been fraught with problems, Heathrow T5 and Madrid T2 being examples. A slow transfer of service is clearly better for allowing systems to bed in and giving staff the maximum time to learn new procedures and learn typically passenger routings. On 14-20 July the Farnborough International Air Show takes place, a traditional highlight for the airline. It is likely that Qatar Airways will have on display fully fitted and in the carrier’s paint scheme an Airbus A380, Airbus A350 XWB, Airbus A320, and a Boeing 787. This will be the largest single gathering by any airline at a major international air show ever. 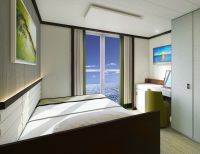 One of Thailand’s leading hospitality groups, Centara Hotels & Resorts, has made its first move into the Middle East with the opening of a 5-star property at West Bay, in Qatar’s capital Doha.West Bay is a newly developed district in Doha, noted for its dramatic skyline and with easy access to the Corniche and to the airport. Centara Grand West Bay Hotel Doha has 264 guest rooms and 96 residences, with a great variety of room and apartment styles all under one roof, featuring many family friendly accommodation options including multiple bedroom units and lock-offs, as well as Club level business rooms and a Club Lounge for the discerning business traveller. A large multi-level entertainment zone on the 29th and 30th floors features a Spa Cenvaree with his and hers facilities, and a fitness and aerobics centre. An eclectic mix of meeting facilities including a ballroom and a series of smaller meeting rooms and business centre, all on one dedicated floor, is designed to cater to the local, regional and international meeting and MICE market. The latest airline to offer wi-fi is Japan’s All Nippon Airways (ANA) who introduced the service on its international routes today (3 March). The airline does charge and not by the hour too. Up to 5MB - $US6, 10MB - $US12 - 20MB $US24. Passengers will be able to use their own devices, such as smartphone or tablet, to surf the web, access email and update social networks including Facebook and Twitter. The latest Stock Market wire report is available on the portal site for free. The ANA WiFi Service will be available on all class of selected international flights flown by Boeing 777-300ER and Boeing 767-300ER aircraft. As reported by BTN at the beginning of the year (BTN 6 January http://www.btnarchive.co.uk/article/7158) CityJet, the Air France Irish registered airline who centre of operations is London City Airport is moving even closer to being sold with confirmation said to be imminent. The new owners will be turnaround specialist Intro Aviation, founded by German businessman Hans Rudolf Wöhrl. Intro has acquired and subsequently sold a number of airlines, including German charter carrier LTU and the former British Airways’ subsidiary Deutsche BA. Whatever happens, from the start of the summer season CityJet becomes IATA code WX. It has around 40% of the slots at LCY, a similar number to British Airways. Barcelona, Moscow, Paris and Zagreb will be added to the Germanwings programme this summer from Berlin Tegel. The airline is owned by Lufthansa but is not part of Star Alliance. The new routes are part of the handover of certain services from the parent company. Germanwings is a budget operation rather than a ‘full service’ airline. The new routes are part of the handover of certain services from the parent company. Germanwings is a budget operation rather than a ‘full service’ airline. From 4 July Germanwings will fly from Berlin Tegel to Barcelona and Zagreb and on the 31 August will launch new services to Moscow Vnukovo and Paris Charles de Gaulle. Since 2013 Germanwings offers three fare types, called Basic, Smart and Best, which offer different services. While Basic is a classic no-frills offer that features hand-luggage only and no free catering, Best includes hold baggage, free snacks and drinks as well as access to some lounges for tier members of Miles & More, the Lufthansa frequent flyer programme. Smart and Best are more or less comparable to the product that the airlines offered on the routes taken over by Germanwings. Laker Airways splashed the headline 30 years ago “New York for $100”, you had to queue with no reservations system and APD did not exist. Now Biman Bangladesh Airlines is doing virtually the same from June onwards with a new twice weekly flight from Birmingham Airport to New York JFK. In fact the initial fare will be £100 each way plus £69 APD from the UK and anything else the airport/handling agent adds, which they also call tax. The fact that Biman can operate the service is due to the way the various bilaterals are drawn up. Bangladesh has full ‘Open Skies’ with the US, and has fifth freedom rights out of the UK, with the exception of Heathrow. The airline will be using a brand new Boeing two-class Boeing 777-300ER with full flat bed in Business Class, a fourth aircraft due from Boeing later this month. Orlando International Airport has become the first in the US to offer international travellers from visa waiver countries the option to 'land, touch and go', using new SITA's Automated Passport Control (APC) kiosks to self-process for faster US border clearance. The Greater Orlando Aviation Authority has confirmed that arriving passengers from 37 visa waiver countries can now enjoy quick and easy processing at US customs and immigration. Orlando is the only airport in the United States to use these kiosks which allow international travellers, from countries that participate in the visa waiver programme, to self-process into the US. Ten biometric APC kiosks are now available for travellers to complete their Customs Declaration form on a touch-screen, have their passports scanned and fingerprints and photograph taken prior to, and in preparation for, their interview with the US Customs and Border Protection (CBP) Officer. The pre-processing significantly reduces the time to complete the clearance process. Amongst the ‘going away presents’ at the recent P&O Britannia unveiling at Fish Island opposite Stratford’s Olympic Stadium was a strange blue container. Most of the guests found the gift perplexing including Carnival’s UK Chairman David Dingle. A sleuth in the BTN office suggested that in fact it was a wine bottle container, which proved correct. However the only problem was that line’s beverage department had also supplied for departure a bottle of exclusive P&O Colture by Prosecco in its distinctive large bottle. The wine did not fit the bag! David is a keen Portsmouth FC, the former FA Cup winners now lingering in League 2, or the Fourth Division according to traditionalists. “At least the bottle bag is in Pompey colours – two examples of being not quite fit for purpose!” was all he could add.